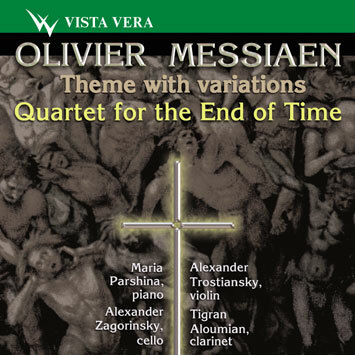 O. Messiaen Theme et Variations /for violin and piano/. Quartuor pour la Fin du Temps. Alexander Trostyansky, violin. Maria Parshina, piano. Tigran Alumian, clarinete. Alexander Zagorinsky, cello.